After you select the country, add your phone number without country code. Get the verification to your phone number. Enter valid code to the verification field. 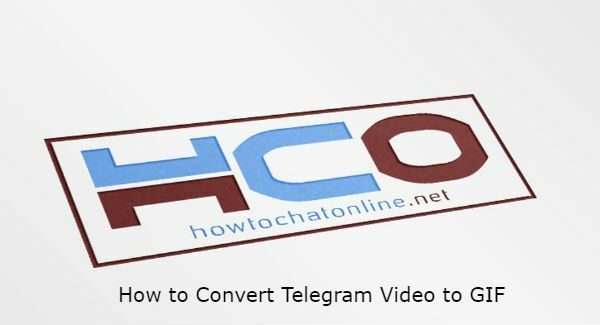 Go to the conversation which you want to convert the video. Download video to your device. Select the video which you want to convert to the gif. There is a blue “Upload Video” button. Click on it. You will get your video file as a GIF soon. That is all you need to do convert your Telegram video to a GIF file. You can find alternative ways below. However they can be a little bit harder than the way that we provided you above. You will need to login to Telegram via Telegram Web again. After you complete to the login, save video file to your computer. Login to YouTube with your Google account. Click on upload button and upload your video to Youtube. Wait until your video is visible fully on Youtube. Don’t forget to publish your video public at first stage. Copy the link of your video. Click on upload button on the website. You will see an empty field just below of “COPY AND PASTE ANY GIF URL” text. Paste your YouTube video link to that field. Select seconds that you want to convert. GIPHY will prepare your GIF. Go to source links of your upload. Save gif to your computer. Send GIF to your friends through Telegram Web. That is all you need to do! You can also do this many alternative ways on internet. There are lots of converters. However using the Telegram Web is the key factor for you on here. You can also try use some of these services with your smartphone too. As we have mentioned at the first paragraph, you will need to use Telegram Web for this service and Ezgif is one of the most famous services to convert videos. If you have any other questions, please feel free to ask us. See: Where does Telegram Save GIFs? ← Do You Go to Jail for Making a Fake Instagram Account?